Looking to help out with the Hurricane Sandy relief efforts, but aren’t sure how to make the biggest impact with each donation dollar? New York-based solar company Voltaic may just have the answer. In order to help those still without power, Voltaic is stepping up by donating their Emergency Portable Power Kits. For every kit that is purchased, Voltaic will donate a second kit, which will be provided directly to an individual in need. Despite being shut down by the flooding and blackout in New York City themselves, Voltaic was eager to get involved in the relief efforts in their hometown. 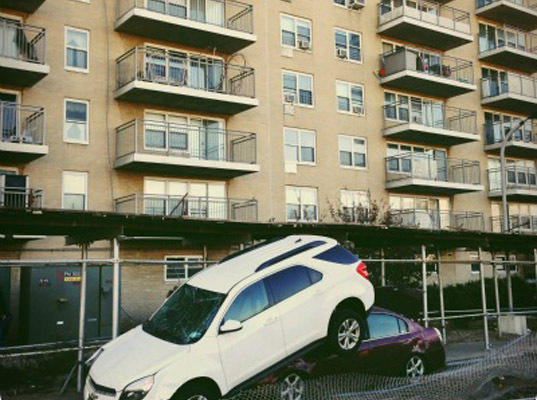 While visiting Staten Island and Rockaway, Voltaic employees encountered individuals still without power, and likely to remain that way for the next few weeks. Many of these people were immobile and, without the electricity to run elevators, unable to leave their homes. To help out, Voltaic is providing their emergency power kit at a discounted price, with a second kit donated directly to those in need. 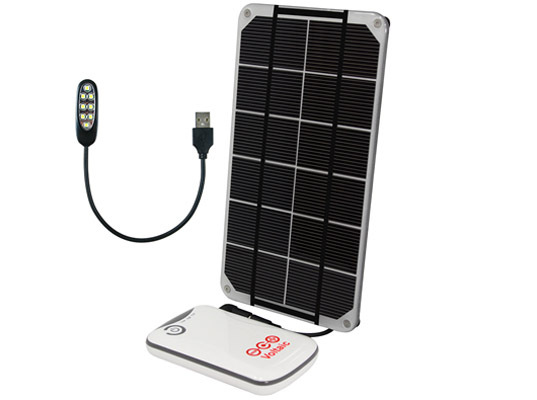 Each Kit includes a 3.4 watt solar panel, an 11-watt hour battery, an extension cord to connect the panel and the battery, a USB light and a set of phone adapters – enough to provide light and a charge for a cell phone. Voltaic is selling each kit for $55, nearly half of the usual cost and they will deliver each donation kit personally to make sure it gets into the right hands. *Pardon the typo :-) "this particular it…" Should read "this particular unit/kit…"
A useful piece of tech :-). From the above description, I see that the PV panel itself is what is rated as 3.4 W whereas in a "Back-to-school" competition email I received today, the units were not correctly used, so I was a little confused until I read this about the likely capacity of the battery. The description here makes it clear that this particular it has an 11 Wh battery, Although it would be more helpful if battery capacities were referred to in terms of ampere hrs (Ah). Watts are themselves "derived units" being the product of current and voltage. Hence it is more helpful to talk about ampere hrs when referring to battery capacity. This gives you a consistent way of comparing batteries and judging what they will do for how long.